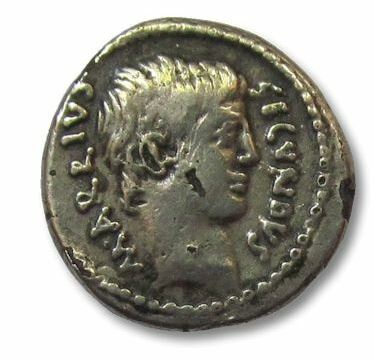 Marcus Arrius Secundus was one of the moneyers for the year 41 BC. He is not otherwise known. Gens Arria was a plebeian family at Rome, which appears in the first century BC, and became quite large in imperial times. The first of the gens to achieve prominence was Quintus Arrius, praetor in 72 BC.